If you have questions regarding your child's bus stop, time or location, please call the Transportation Department @ 937-773-1560 from 7:00-4:00, Monday through Friday. Buses pick up and drop off students inside the assigned school attendance areas only. If your child care provider lives within your school attendance area, you must request alternate pickup and drop off addresses for the school year by using a Transportation Plan Form. We provide guidelines below to help parents and child care providers understand the procedures and policies that are necessary to manage a safe and cost-effective transportation system. Pupils shall arrive at the bus stop 5 minutes before the bus is scheduled to arrive. Pupils shall wait at the driver designated place of safety, which will be located outside and not in a car or inside the house. Behavior at the bus stop and on the way to the bus stop must not threaten life, limb or property of any individual or homeowner. Pupils will be assigned a seat by their bus driver and must go directly to their assigned seat upon entering the bus. Pupils must remain seated, keeping aisles and exits clear at all times while on the school bus. Pupils must observe classroom conduct and must obey the driver promptly and respectfully. Pupils must not use profane language and conversation must be appropriate. Pupils must refrain from eating or drinking except as required for medical reasons and a doctor's order must be on file with the school nurse. Pupils must not use tobacco products or have them in their possession at the bus stop or on the bus. 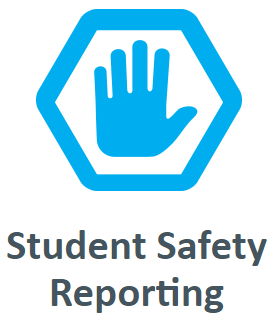 Pupils must not have drugs or alcohol in their possession on the bus or at the bus stop except for prescription medication required for the student and a doctor's order must be on file with the school nurse. Pupils must board or leave the bus at the locations which they have been assigned unless they have parental AND administrative authorization to do otherwise. Pupils must not put head, arms, any other body part out of the bus windows. Guidelines will be formulated for the use and storage of equipment and other means of assistance required by preschool children and special need children. Drivers and Bus aides must have access to appropriate information about the child to the degree that such information might affect the safe transportation and medical well being. This information must be readily available in the transportation office. All such information is strictly confidential. Cell phone use is limited. Students in grades 7 through 12 may use a cell phone for gaming, music or texting but earbuds must be worn. Students entering and exiting the bus must take earbuds out for instruction. The camera portion of the phone is not to be in use due to the danger of the flash. Talking is not allowed as this is a distraction to drivers. Students in grades Pre-school through 6 are not permitted to use a cell phone or have one outside their book bag on the bus. Pupils may not carry explosives, fireworks, weapons, animals, insects or balloons onto the school bus. The superintendent or superintendent designee, or principals are authorized to suspend or remove pupils from school bus riding privileges. This document is intended to provide information that clarifies the responsibilities and obligations of school districts with respect to pupil transportation service levels. Pupil transportation service must be provided in Ohio for students in grades K-8 who live more than two miles from their school. Many school districts also transport students in high school, as well as students who live closer than two miles from their school, but these services are optional at the discretion of the district and are not required by state law. Transportation plans are designed and implemented by each district. This plan includes the designation of walk-in areas to school, identification of hazardous areas, the location of bus stops and the actual routing and planning of routes. Other issues, such as the ability of a school district to accommodate day care arrangements, alternative bus stops and length of time a student rides on a bus are also determined by the local school district. There are no administrative regulations or laws that limit these. 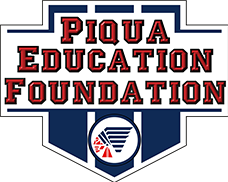 This form must be filled out each year for ALL Piqua City School students who need transportation to and/or from a childcare provider, who are entering the 4th or 7th grade or who has COURT ORDERED shared parenting (a copy of the court papers must be on file). This form should also be used to add transportation for a Piqua City School student who did not ride previously. Any Non Public student would need this form IN ADDITION to the Non Public Rider form if the student needs a childcare stop or who has COURT ORDERED shared parenting and needs an additional stop (must turn in a copy of the court papers). This form is for ALL Non students who do not attend Piqua City Schools. Any student who needs transportation in a Piqua bus must have a new form filled out EACH year. Parents should be sure their phone numbers and email addresses are correct in the Intouch system to get updates on their child's bus. Requests in writing or by phone for non-regular bus service (bus pass) for students needing to go home with another student who is normally bused should ONLY be made if no other form of transportation can be obtained. Requests for bus passes will be denied for non-emergency bus service for; play dates, parties, staying overnight with friends, hanging out, etc. These events should be dealt with in advance and students will need to use their regular daily bus service with parents providing transportation later in the day. When a bus pass is necessary, such requests are to be made directly to the building principal, his/her assistant, or building secretary and must be signed by the parent or legal guardian. You must have the bus number and the location of the closest established bus stop where the student will be dropped off. Approval is subject to available seating and at the schools discretion. Bus pick-up at a board approved stop will be permitted providing the student has a note to give to the bus driver with the date and the note has been signed by the parent or legal guardian. Requests by phone for a transportation change for non-regular bus service (daily bus pass) will ONLY be considered in emergency situations and will be at the school’s discretion and is subject to available seating. A phone call must be made to the school and must be from the parent or legal guardian requesting emergency bus service and the nature of the emergency. At the time of the call, proof of identification must be provided. Parent or guardian must have necessary information from the transportation department as to what bus number the student will need to ride as well as the location of the board approved bus stop. This should be obtained by first calling the transportation department at 773-1560. Most Jr./Sr. High buses are full to capacity so most buses can not accept daily bus passes. It is STRONGLY advised, you make alternative arrangements to have someone pick up your student at their assigned bus stop.